This was taken during a bike ride around Luang Namtha in North Laos. The sun was coming down as we were exploring this nearby beautiful village. 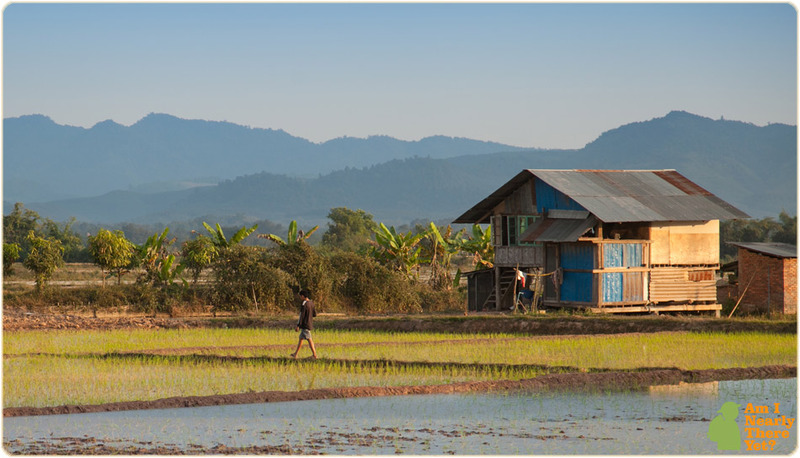 Mountains backdrops, wooden shacks and rice paddies all contribute to the rural life scene of Laos.